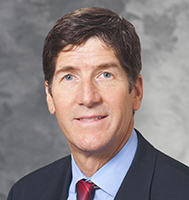 Dr. Jarrard is board certified by the American Board of Urology and has completed a fellowship in Urologic Oncology. He specializes in all aspects of urologic oncology with an emphasis on prostate cancer diagnosis and treatment including robotics. Dr. Jarrard has a joint appointment with the University of Wisconsin Comprehensive Cancer Center, and his clinical research emphasizes developing novel diagnostics and new therapies for genitourinary cancers. He has an active basic science laboratory and is funded through the National Institutes of Health and Department of Defense to examine genetic and epigenetic alterations in prostate cancer.